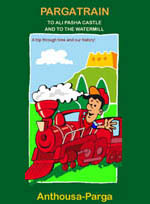 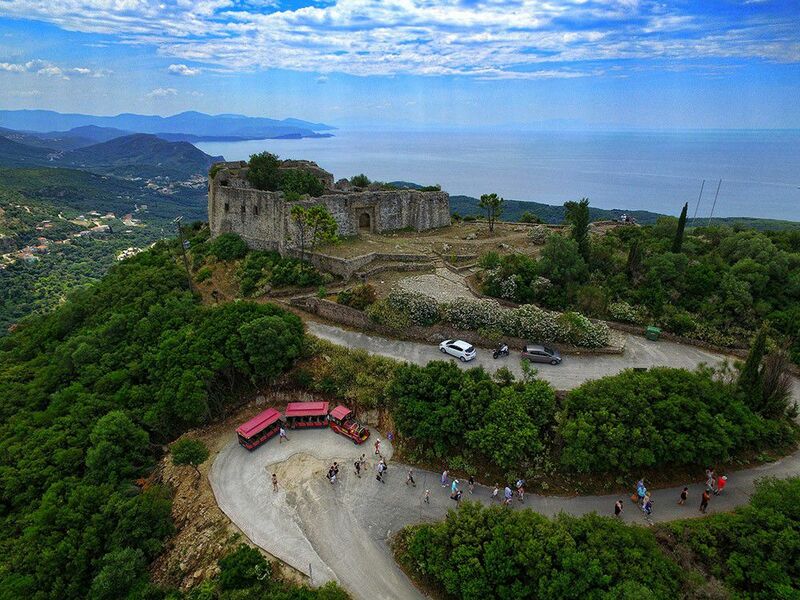 The journey lasts about two hours. 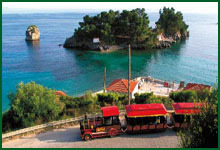 The starting point is on the seafront of Parga opposite the small island of Panagia. 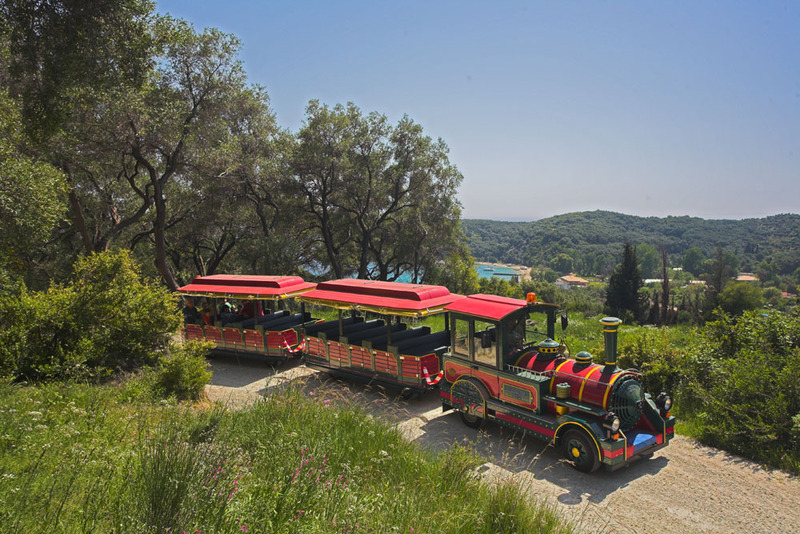 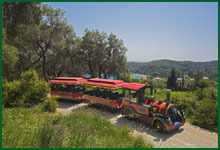 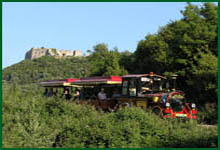 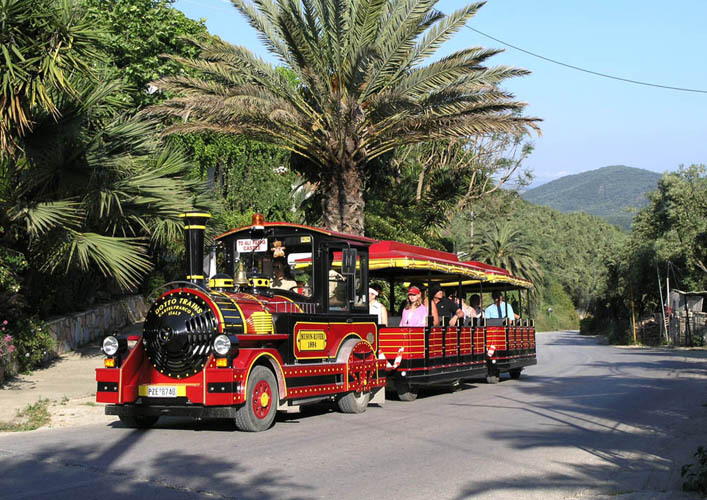 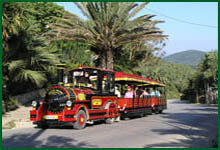 The train leaves town and heads towards the village of Anthoussa passing through vibrant greenery and luxuriant olive groves. 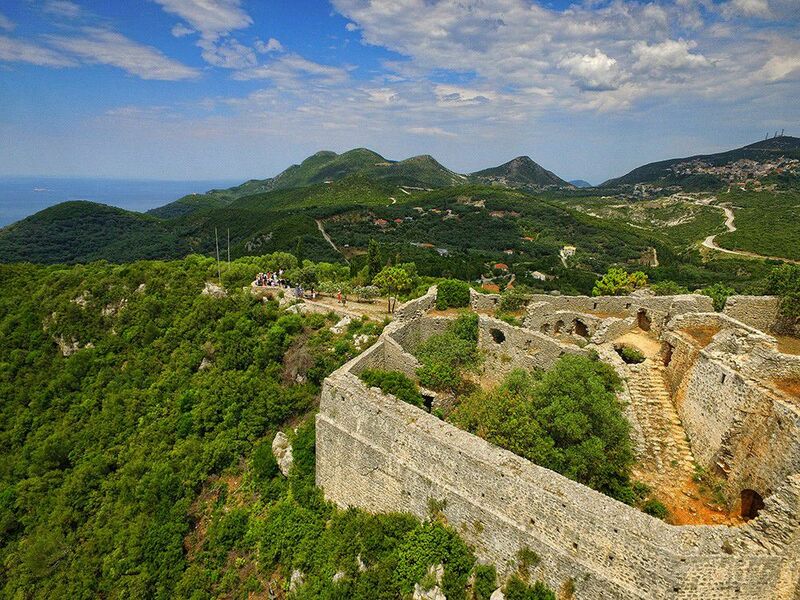 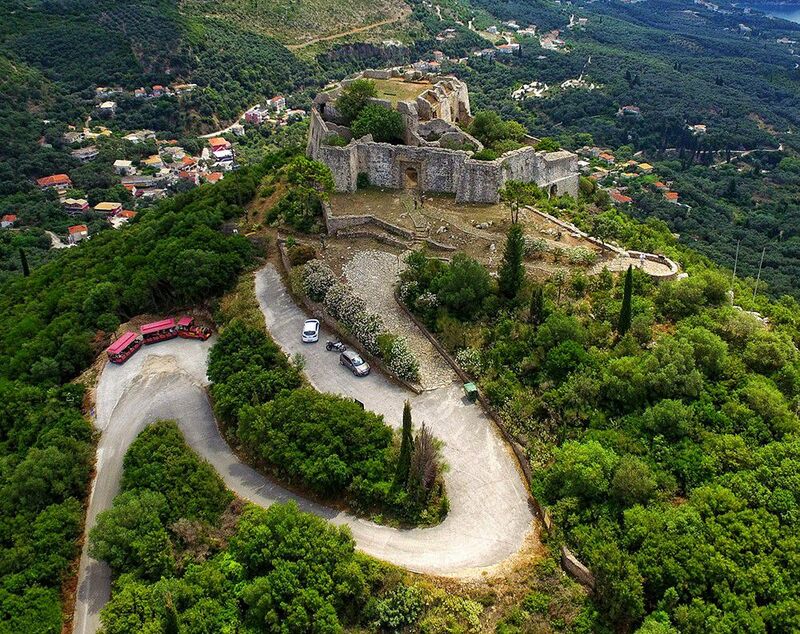 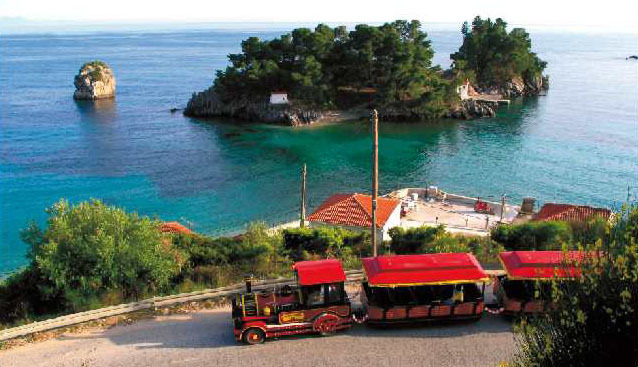 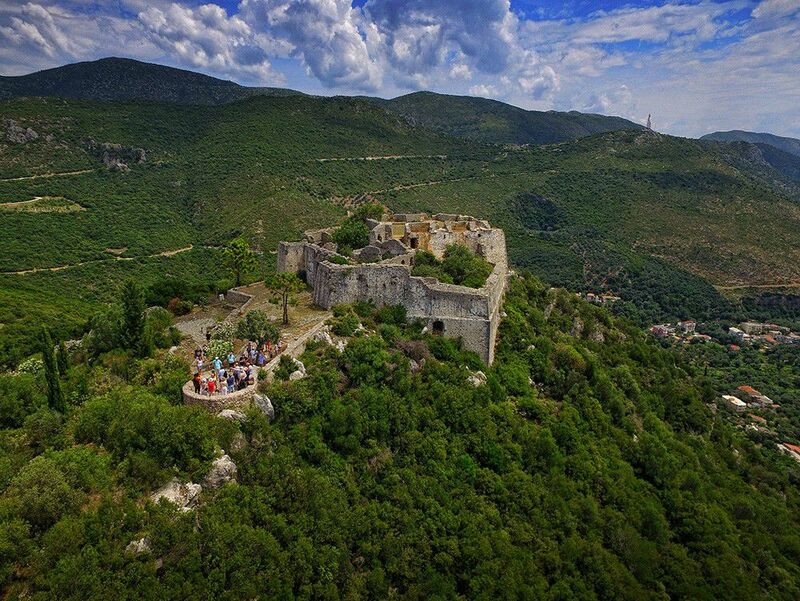 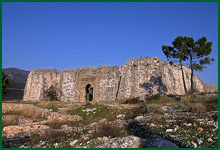 After Anthousa the vegetation becomes gradually more wild and the train passes the small but impressive gorge of the Despot before, 5km from Parga, it reaches the castle of Ali Pasha. 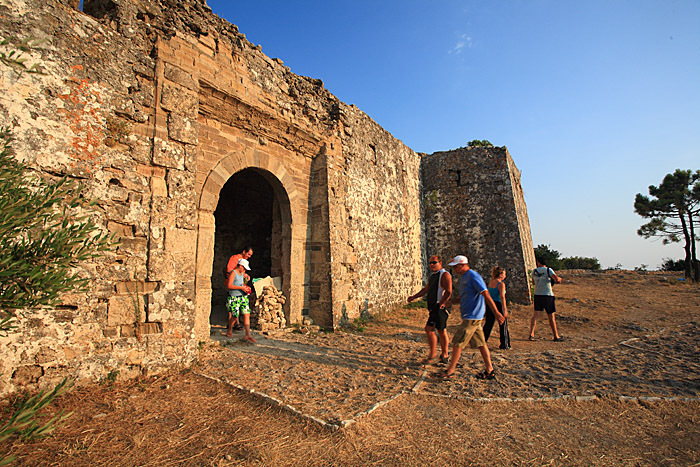 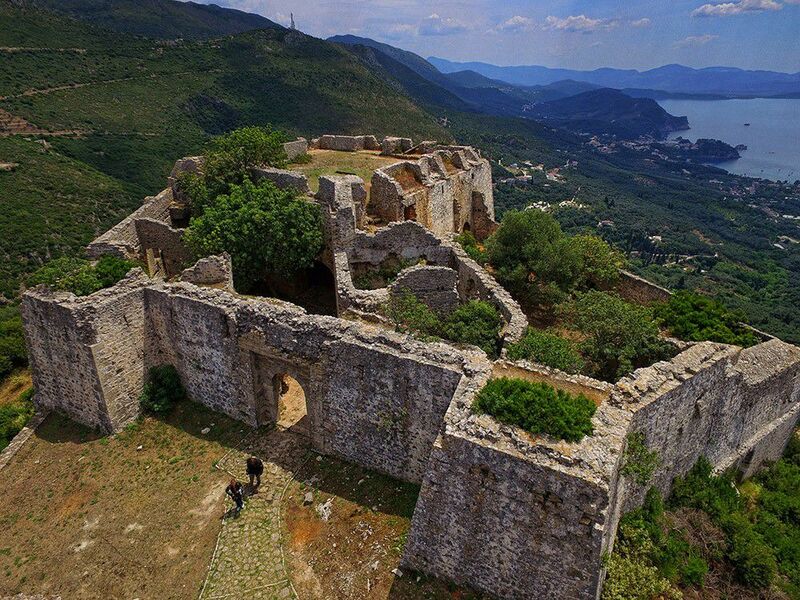 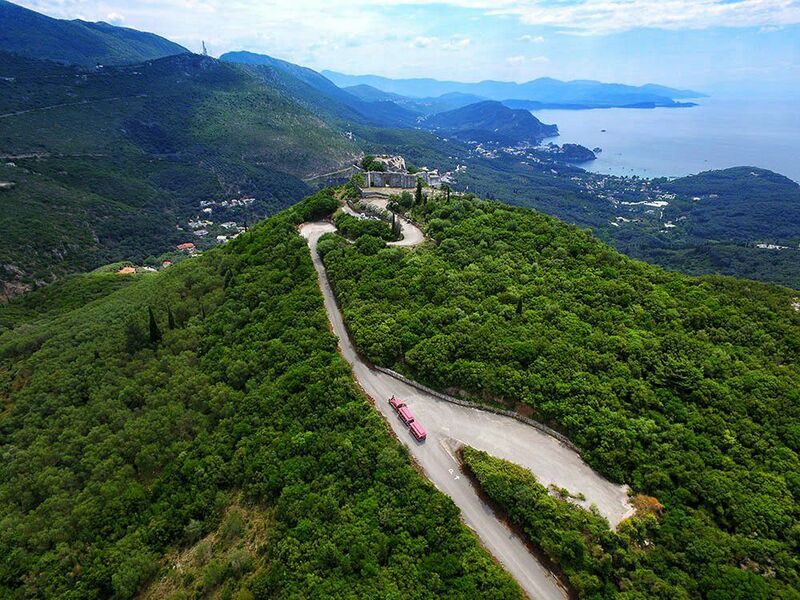 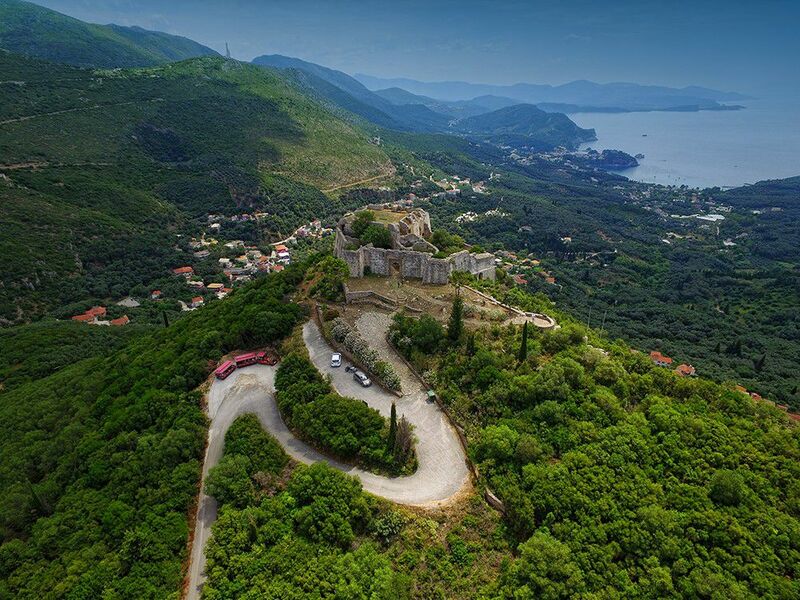 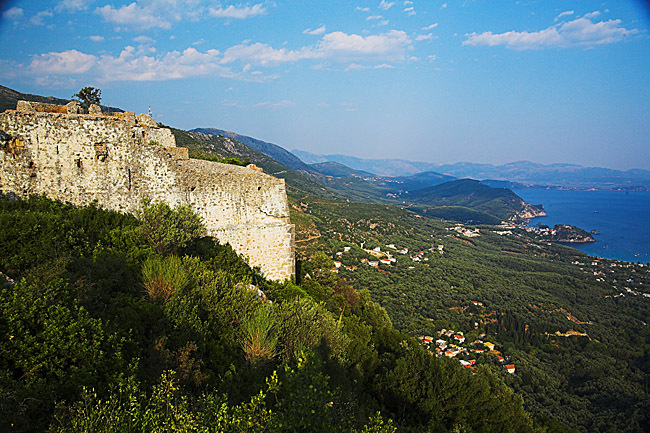 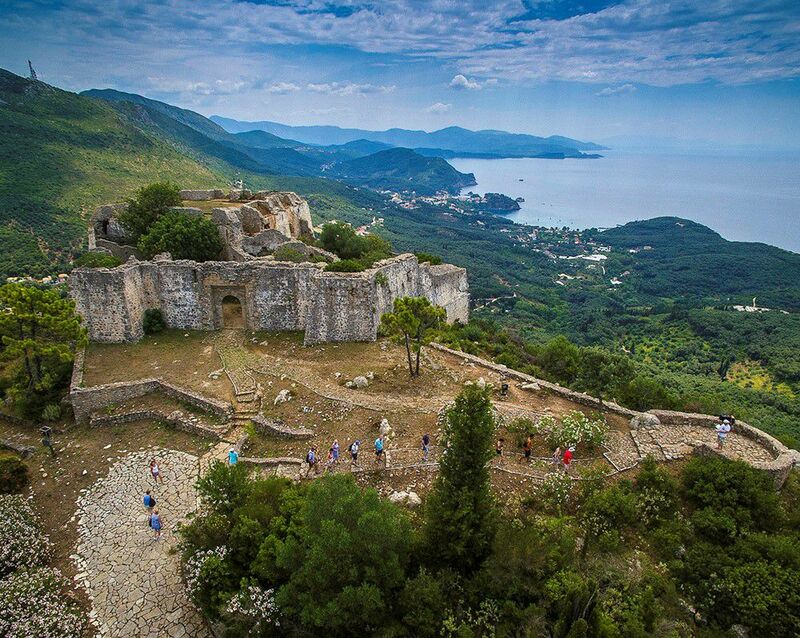 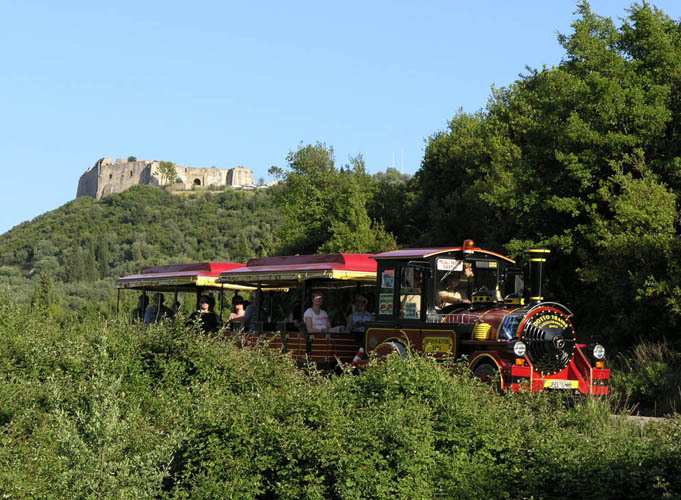 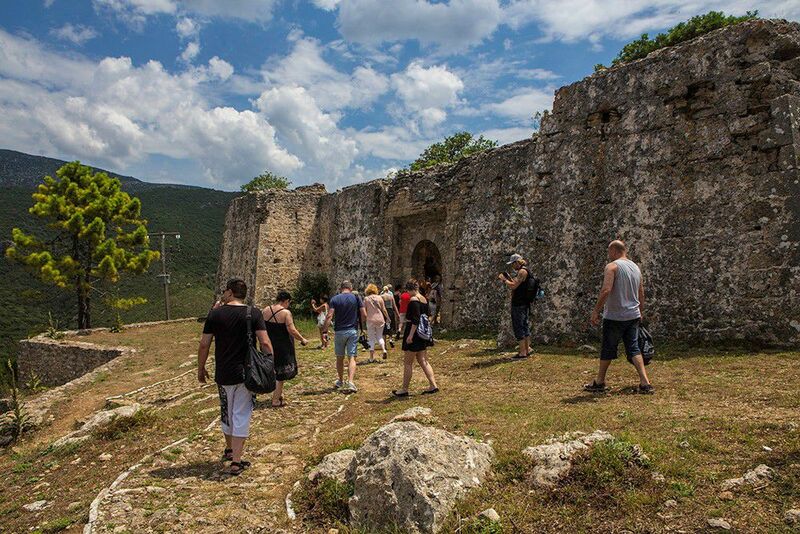 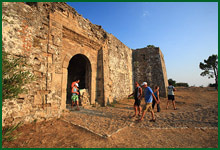 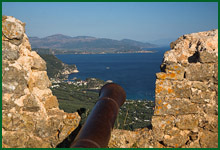 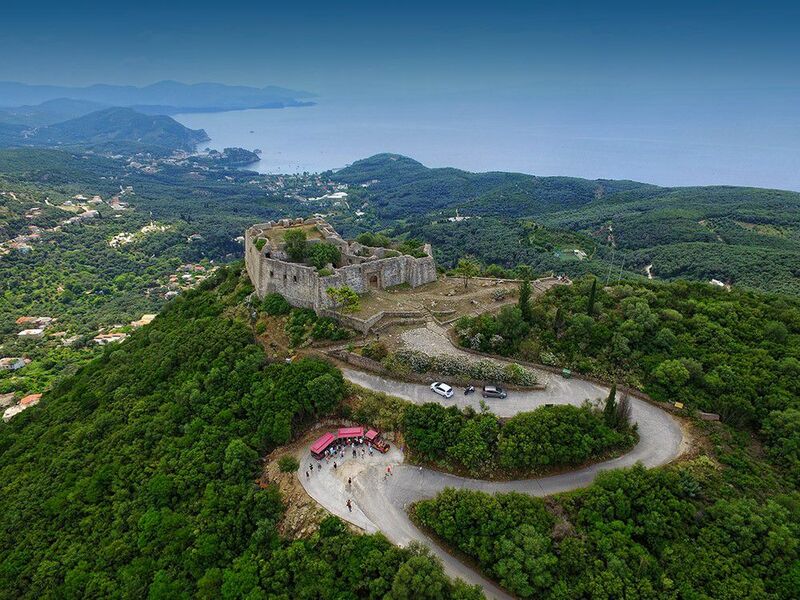 Here there is a half-hour stop during which the passengers can savour the castle s majestic view of the Ionian Sea – from Corfu and the islands of Paxi the breathtaking panorama stretches as far as Lefkas. 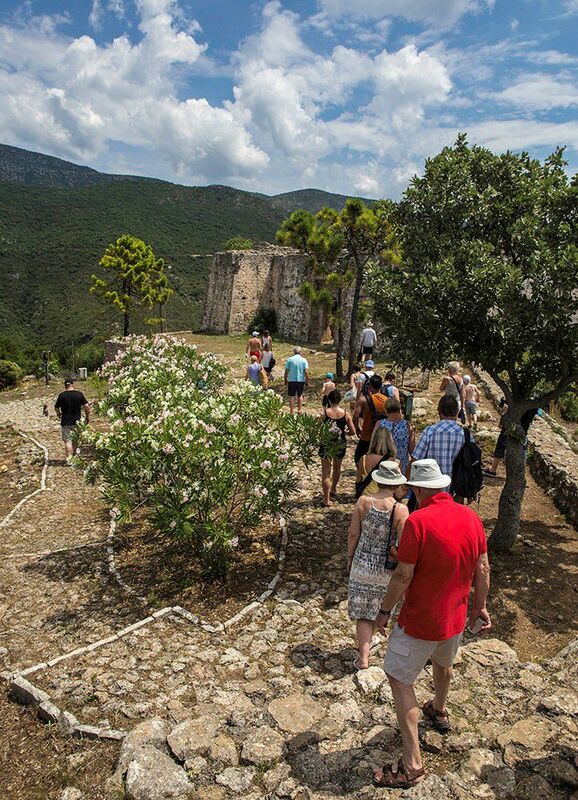 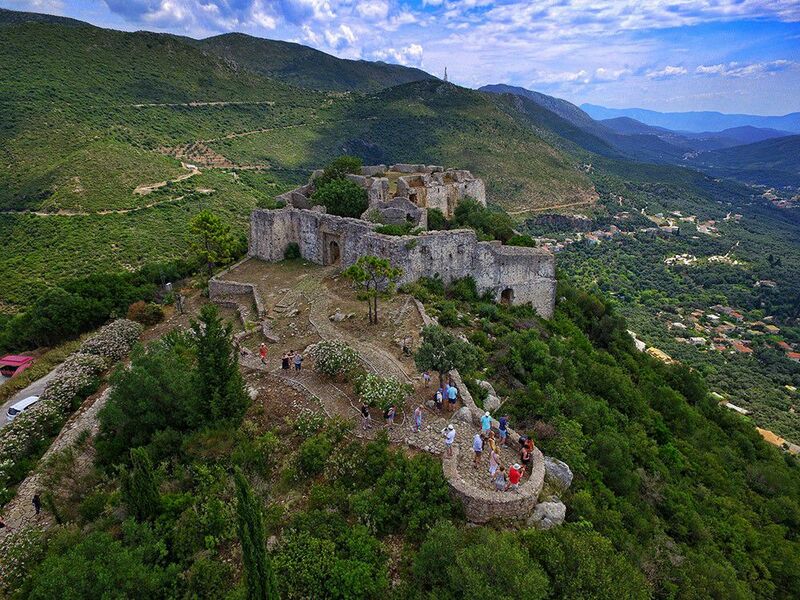 Spread out below the castle the mountainous landscape and fertile slopes offer the tourist scenery that includes the picturesque hamlets of Agia, Anthousa and Trikorfo. 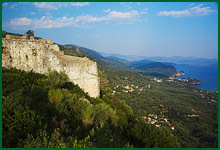 The journey back to Parga includes a half-hour stop at Anthousssa before returning on the same road to the starting point.